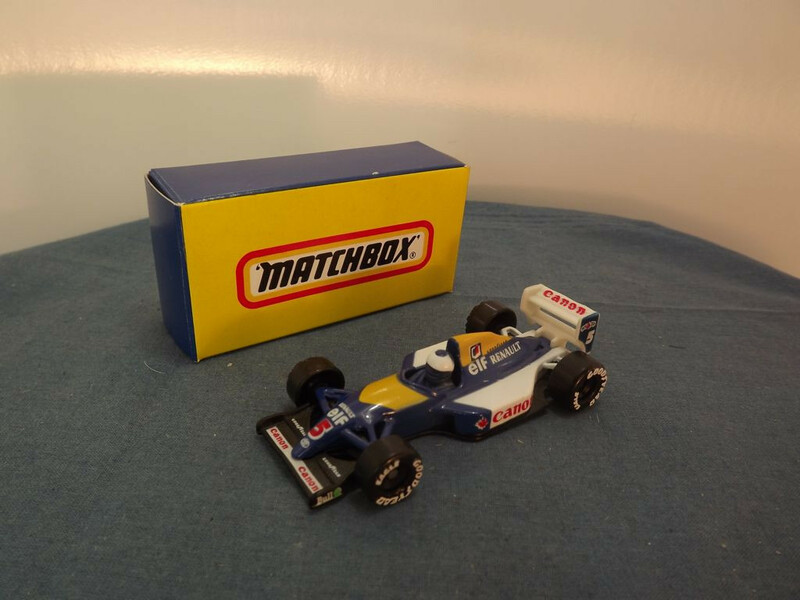 This model is the Matchbox MB246 Williams Renault FW14B Race Car in Blue and White. 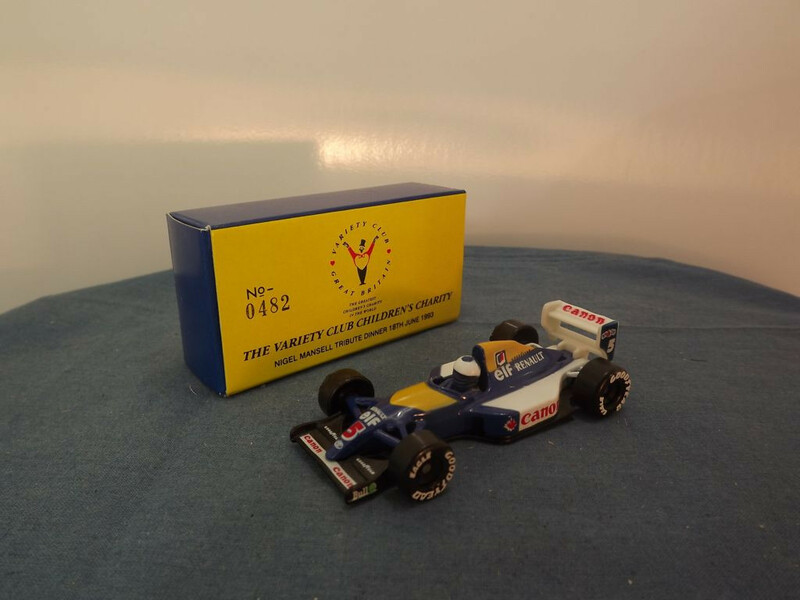 It was released as a special Code 2 Limited Edition item for the Variety Club Children's Charity Nigel Mansell Tribute Dinner on 18th June 1993 and comes in a specially marked blue and yellow box on which is printed the Limited Edition number (in this case #0482 of 1100). Very limited detail is cast into the body. 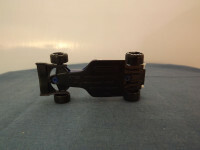 The front air wing is cast into the plastic baseplate and the rear aerofoil is a separate plastic casting that is sandwiched between the body casting and the baseplate. 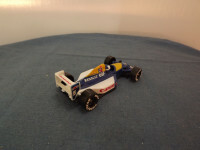 The driver is also plastic and held in place between the base and body. 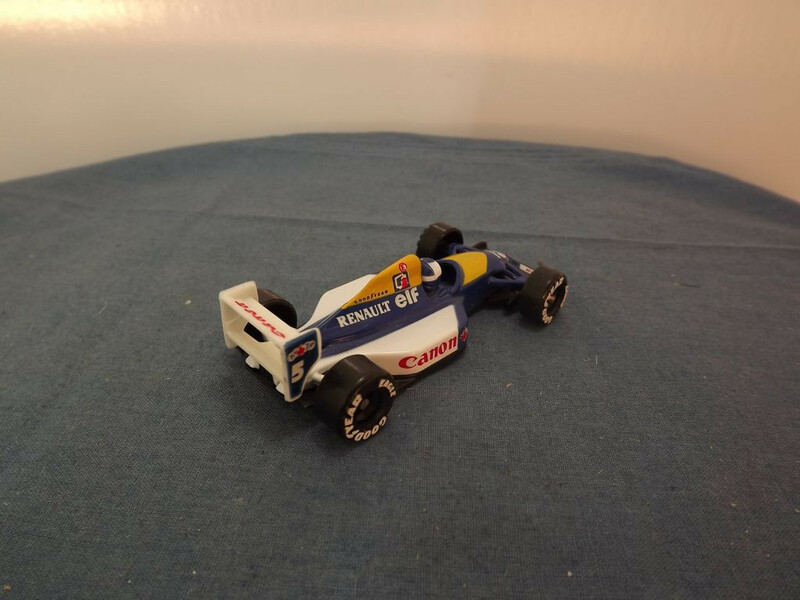 The car's body is adorned with tampo printed advertising reading "Renault Elf" and "Canon". 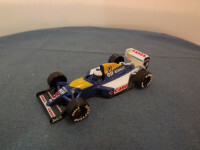 The tyres carry "Goodyear" markings. 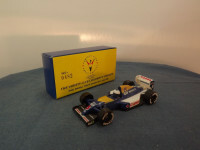 The vehicle carries the racing number "5". The baseplate is black plastic. 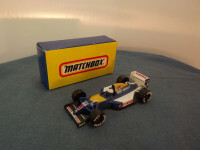 It is marked at the top centre "Matchbox", followed by "© 1993 Matchbox Int'l Ltd, Williams-Renault FW14B" in the centre middle on two lines, and "Made in Thailand, 1:53" at the centre bottom on two lines. It is held in place by two machined rivets, one at the front and one at the rear. All wheels are of the "Superfast" type - one piece plastic hub and tyre component. This model was issued in 1993 as a Code 2 limited edition with accompanying box numbered 482. I believe 1100 were issued through the Variety Club Children's Charity.